The time will come, surely, when Memphis-UConn on a Sunday in mid-February is one of college basketball's spotlight games. 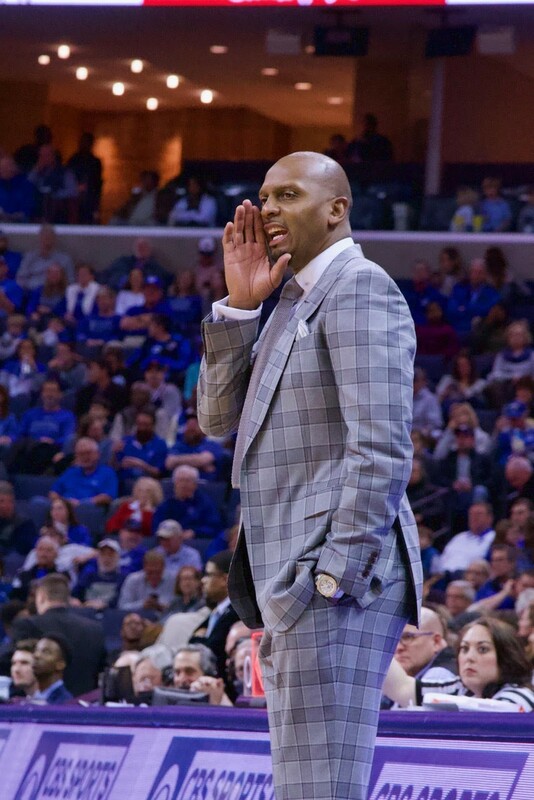 Here in 2019, though, the clash at FedExForum was merely a pair of proud programs taking strides toward re-establishing national credentials under first-year coaches. 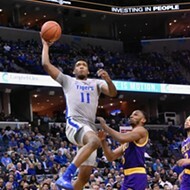 Penny Hardaway's Tigers led from start to finish, with senior Kyvon Davenport scoring 26 points to thrill a crowd of 17,162. Husky coach Dan Hurley — among the most animated sideline maestros in the sport — was left to envision a future encounter. "I told Penny in the handshake line that I don't expect to come into this matchup [both] 13-10 very frequently in the future," said Hurley after the game. "It stings, it hurts, it's not something we're used to at Connecticut. " 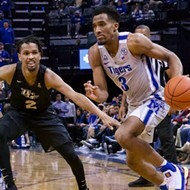 The Tigers led from start to finish, by as many as 16 points and by no fewer than four points in the second half to end a three-game losing streak, the first such skid for Hardaway as a college coach. 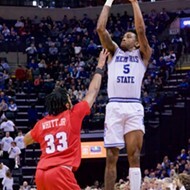 Memphis started five seniors for the second straight game, and Hurley recognized an edge. "The number of seniors they play made the difference," said Hurley. "Davenport was the key to the game. To see our future out there, playing against some men, is a good thing." 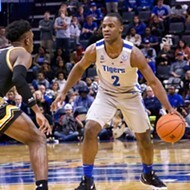 Senior guard Jeremiah Martin scored 12 points, handed out six assists and hit a pair of clutch free throws in the game's final minute that gave the Tigers a six-point advantage (76-70), enough to clinch the victory. Raynere Thornton added 11 points and eight rebounds. 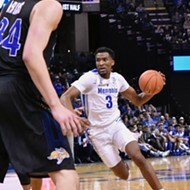 Freshman Tyler Harris came off the bench and scored 12 points for Memphis. He found Davenport on a pair of no-look feeds in the second half that sparked the Tiger attack. "I love to get him good passes," said the former Cordova High School star. "He dunks and gets the crowd fired up." 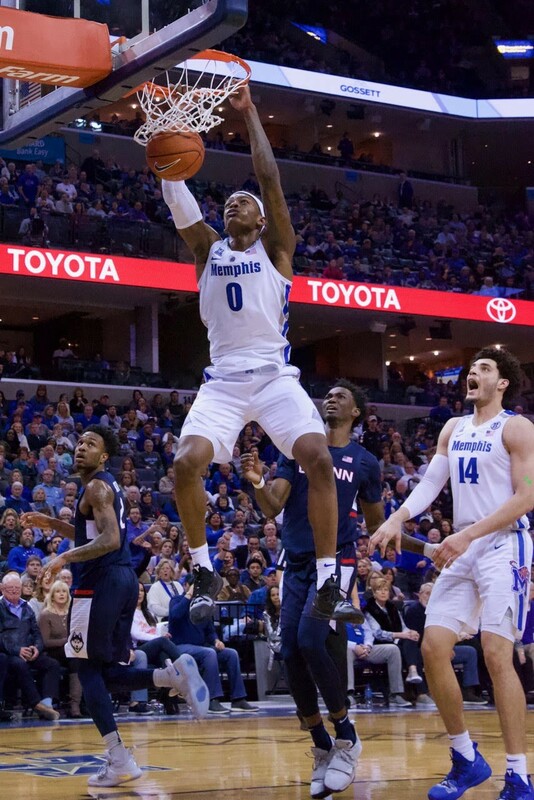 The win improves Memphis to 14-10 and 6-5 in the American Athletic Conference while UConn drops to 13-11 (5-6). Four Huskies scored in double figures, led by sophomore forward Tyler Polley with 20 points. "We have to be desperate," said Hardaway. "We'll have some lulls, but for the most part, we have to play as hard as we can. We knew we had to get this win; it was a must-win." 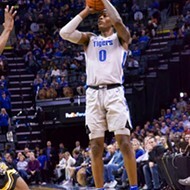 The Tigers shot well across the board, hitting 48 percent from the floor, 38 percent (8 for 21) from three-point range, and 89 percent (14 for 16) from the free throw line. Defensively, they held UConn to 40 percent shooting and forced 18 turnovers. 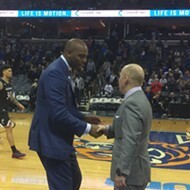 Hardaway and Hurley first met as teenage players in a camp more than two decades ago. 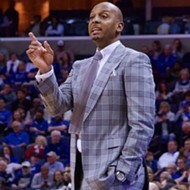 The Memphis coach sees their new career stage as one that can be memorable for both programs. "There are going to be some competitive games between us, moving forward, and today was one of those," said Hardaway. 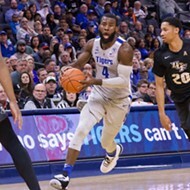 With seven regular-season games remaining on the Memphis schedule, Hardaway suggested his seniors will make the difference, one way or the other, just as Hurley felt they did Sunday afternoon. "This is a veteran's league," said Hardaway. "The older guys are getting it done. Younger guys chip in where they can, but if we're going to win, we need those five seniors to show up, every time." The Tigers travel to East Carolina for their next game, where they'll play the Pirates Wednesday night.